Caffeine in Energy Gel and Sports Drinks - Good or Bad Idea? What Athletes Need to Know. 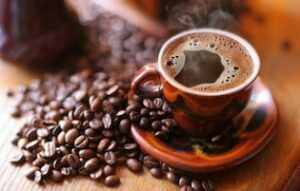 Caffeine doesn’t provide energy, rather it’s a stimulant that causes you to exert energy. Your energy comes from your glycogen stores and the carbohydrates that you consume while training or competing. The stimulative effect of caffeine diminishes with subsequent doses (ie, you get a big “boost” from your first cup of coffee, and not so much from your 3rd cup later in the day). In an endurance event you don’t want to be exerting more energy than necessary early in the event, that’s a good way to run out of energy before the end. Likewise, at the end of a long endurance event, you may be out of it mentally and physically and really in need of a “boost”. If you have been relying on caffeine since early on in the event, then you are not going to get the boost you are looking for at the end. This is due to the diminishing stimulative effect discussed above. But if you have been “caffeine free” for the duration of the event, then you will get the kick you are in need of at the end with your first and only shot of caffeine. In addition, if the caffeine does indeed dehydrate you, then by taking it at the end you will minimize the potential effects of dehydration – namely: degraded performance, cramping, injuries and increased recovery time. Why take the chance? 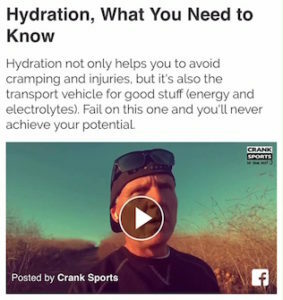 For more information on hydration and dehydration, watch this video. For those that want to use caffeine in these situations, there are lots of caffeinated products on the market to choose from. 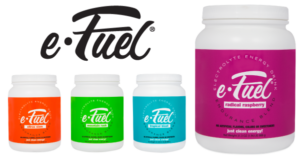 Just use e-Gel and/or e-Fuel for the bulk of the event and then a competing caffeinated product at the end – we’re okay with that! 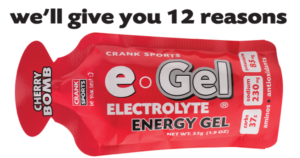 Prefer to drinks over energy gels?